You can begin the process of removing the broken key by applying a lubricant in the keyway inside the lock. Dry lubrication products such as graphite spray lubricant, are recommended because oil lubricants may gum the internal parts of the lock. Make sure you clean up the excess lube, after lubrication. Make use of a pair of needle-nose pliers to pull out the broken key, if it is accessible. Make sure the tweezers are quite thick and make sure you check how deep the broken key is before inserting the tweezers. Most tweezers may end up pushing the key further instead of removing it because they are not appropriately made for this task. Making use of tweezers will work probably when there is a bit of the key protruding out of the lock. If tweezers don’t work, contact GreenPro Locksmith. A broken key extractor can be more efficient than tweezers. simply place it inside the keyway especially along the biting of the key, then turn and pull the key extractor until it grabs and removes the broken key part. Though it may take several attempts to remove the broken key through an extractor, it should probably work in the end. If you don’t have money to buy a specialty extractor, you can simply create one yourself out of a jigsaw blade. You need a tiny piece of metal that will fit perfectly along the keyway, hence the smaller the better. Place the blade inside the keyway, in such a way that the serrations are pointing back at you. With a turn and a pull, the broken key should come out. Other methods of removing a broken key from the lock include; the super glue, Tapping the cylinder, and probing the pull. The use of super glue may not be the best option but if you can glue the key to a match then it will be easy to pull out. If you want to tap the cylinder, you need to ensure that the keyhole is facing down and then you need to strike the keyway side of the lock, to remove the key. Probing involves the use of two thin pieces of metal to remove the broken key. 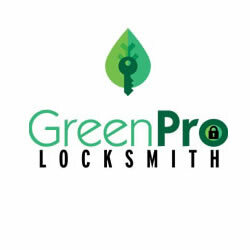 If all these options don’t work, simply contact GreenPro Locksmith for an efficient and reliable solution.